I've been following drifting for a few years. So the AE86 was quite well known to me. After watching the AE86 Clubs, and of course Initial D the anime series i'd decided I wanted a Hachi-Roku! While looking for AE86's in the UK for a while I struggled to find the right one. For me it had to be 'Panda' colour trim, had to be Sprinter Trueno and had to be a hatch back. Most cars I was finding were Levin's and/or Coupe. Which I didn't want, no matter how clean it was. So I gave up looking one in the UK, it would have to be imported from Japan (Japanese cars generally having less rust). 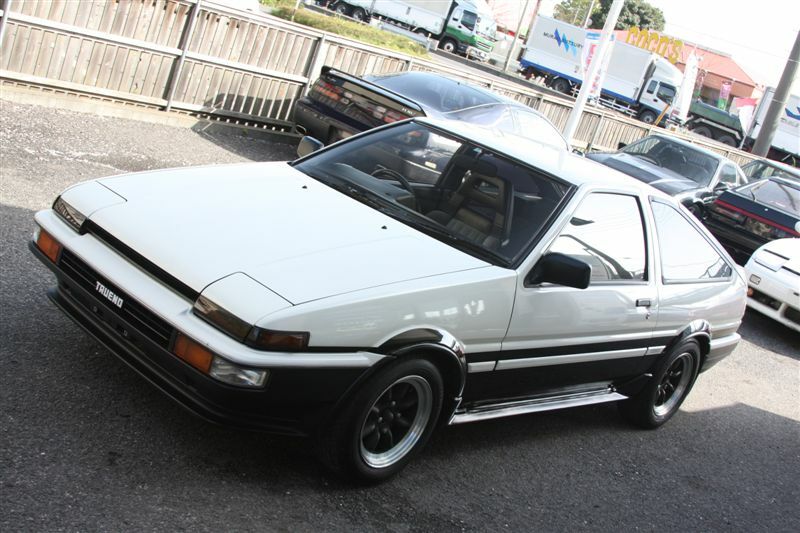 So I put my deposit down with Power Vehicles so that I could start looking for an AE86 right for me finally after a a few weeks I'd found one that fits my requirements! I'd been looking for an AE86 for quite a few months before I found a car. There wasn't a point on buying a car didn't want, so i just kept looking.